While government agonises over 2 bob taxation for backpacker fruit pickers, PRRT receipts are in freefall and any meaningful contribution from the industry could be decades away, according to briefings to the government of Western Australia. The numbers begged not to be ignored by Canberra. LNG revenue was set to mushroom from $5 billion to $60 billion over a decade but PRRT returns would sink from a paltry $1.2 billion to a frankly embarrassing $800 million. Currently, the only PRRT payments are coming from mature oil rig operations in Bass Strait. 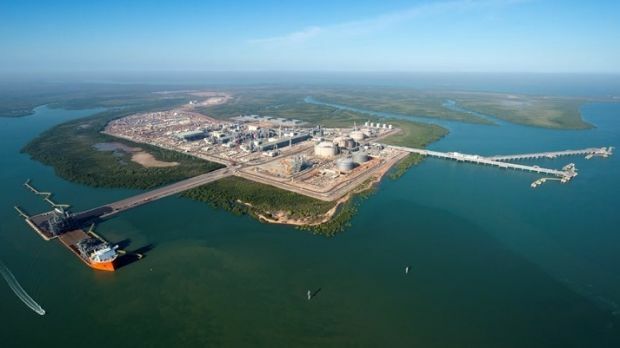 Effectively, Australia is giving away 85.5 million tonnes of LNG a year for free. Well, to be sold by fossil fuel companies to Japan, Korea and China. By 2021 Australia will eclipse the Persian Gulf state of Qatar to become the world’s biggest exporter of liquefied natural gas. Malcolm Turnbull approved the massive LNG project in 2007 – but it won’t pay the Commonwealth a cent for another two decades. In that year, when both countries are forecast to pump and ship roughly 100 billion cubic metres of LNG each, Qatar’s government will receive $26.6 Billion in royalties from the multinational companies exploiting its offshore gasfields. According to Treasury estimates, Australia will receive just $800 Million for the same volume of gas leaving its shores. Should this kind of arithmetic be reviewed in Primary Schools? Who are our pollies working for? Surely it can only be major corruption feeding on this kind of disparity? This entry was posted in Events local and tagged climate emergency declaration, LNG, tax evasion. Bookmark the permalink.